Most of the Ukrainian military personnel serving in Crimea have chosen to stay on the peninsula and already applied for Russian citizenship, Defense Minister Sergey Shoigu said at a top-level military meeting. Most of these people showed an intention to continue their service in the Russian military forces and were granted that opportunity, the minister said at the Friday military collegium. “As of today, over 8,000 former Ukrainian military have submitted documents in order to receive Russian passports,” RIA Novosti quoted Shoigu as saying. “About 3,000 of these people have already received new assignments. Now we need to create conditions for their swiftest adaptation to service in the Russian forces,” Shoigu told senior Russian generals. He especially urged the construction of homes and hospitals for the radically increased contingent to be sped up. 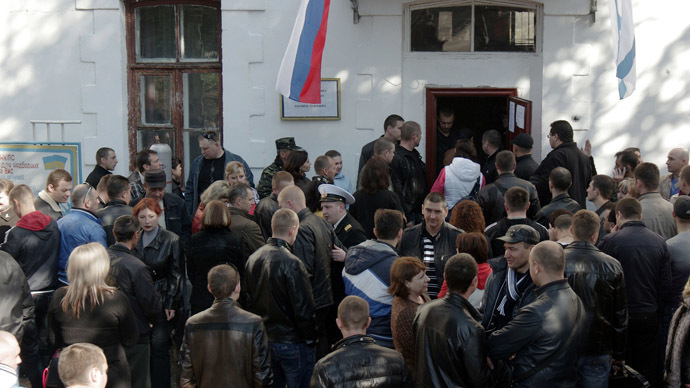 According to the minister, the total number of servicemen, civilian personnel and their family members who will be able to attend military hospitals in Crimea will soon reach 120,000. Shoigu also promised that the government would place a significant order with Crimean arms-producing enterprises. He mentioned the companies of electronic, aircraft-building and ship-building industries. At the beginning of 2014, the strength of the Ukrainian military contingent in Crimea was estimated at between 14,000 and 15,000 personnel. 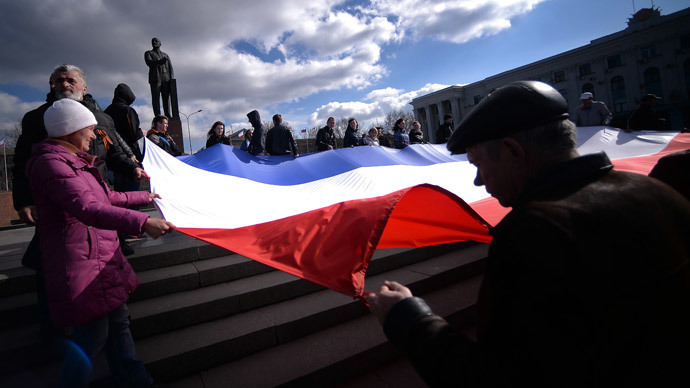 After the Crimean Autonomous Republic initiated its succession from Ukraine, most of these servicemen, including chief commander of the Ukrainian Naval Forces Rear Admiral Denis Berezovsky, announced that they preferred to remain on the peninsula. Almost all of the rest were given free passage to Ukraine and left. Ukrainian Deputy PM Vitaly Yaryoma told reporters on Friday that about 400 technical personnel remained as they needed to prepare and conduct the transportation of weapons and military hardware to the mainland. 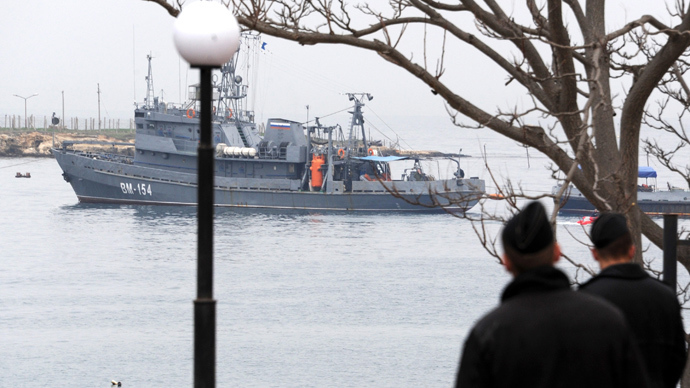 Russia kept between 20,000 and 25,000 military in Crimea as part of the agreement with Ukraine, which allowed the use of the Sevastopol navy base. 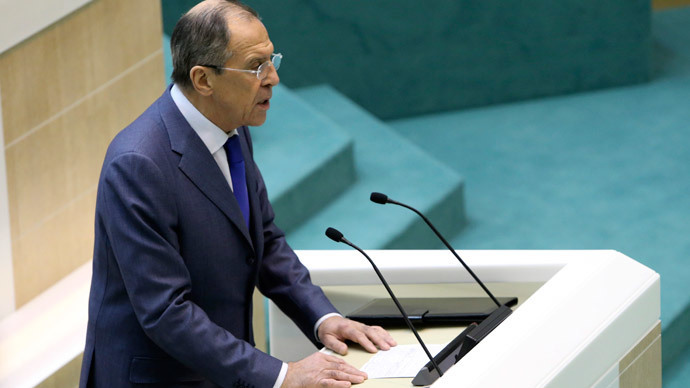 However, after the accession of Crimea the agreement was denounced by Russia as useless. In late March, Shoigu announced that the new mid-term plan of Defense Ministry’s work included multiple measures to ensure security of the newly formed Crimean Federal District. He did not go into details.